Frank Ritchotte starts his day early. In fact, you may find him at the gym shortly after 3 a.m.—but by then he’s already spent a considerable amount of time on his phone. Such is the life of Line 6’s senior director of operations. He usually arrives to the office by 5 a.m., but not before he’s caught up on any messages from customers and browsed a sampling of select websites to get a feel for the recent Line 6-related activity. "Social media has come a long way, a shockingly long way," he says. "It’s part of our life and it’s a tool we can use to do business—and we are." "My day really can’t get started until I have read all the posts that may need my attention or that are directly asking me or my team for support. In fact, I encourage our customers to reach out to me directly and they usually do. They friend me on Facebook, send me private messages on guitar forums, they email and even send texts. It’s a lot of work, but it’s something that helps drive home the genuine nature of what Line 6 is about." By 3:30 p.m.—after a day filled with meetings and discussions related to products, service, support, and sales—he makes his way home, but also makes a habit of continuing to monitor various social profiles until he calls it a night around 8 p.m.
Ritchotte joined the Line 6 team in 2009, relocating from the familiar New England area where he’d spent much of his life to sunny Calabasas, California. Especially since the company was acquired by the Yamaha Corporation in early 2014, Ritchotte believes there’s a perception that Line 6 is a faceless, uncaring multinational. But he's quick to note that the move was more of an acquisition of talent, technology, and brand recognition than a change in strategic direction. Also, that Line 6 continues to maintain independent management and handle day-to-day operations in-house. "We have four support people on the phones. I sometimes think people envision this bank of cubes where hundreds of Line 6 people are answering phones," he jokes. "But if you call, you’re talking to one of four people." Today, the strength of Line 6 comes from a deep understanding of the products and marketplace in which it competes. More important though, says Ritchotte, is the fact that the U.S.-based leadership team has complete trust in its employees to act quickly, use common sense, and make quality decisions for both the company and its customers. "They make sure they have the right people in the right seats, the right tools in place to help them do their jobs—and then they let them do their thing." 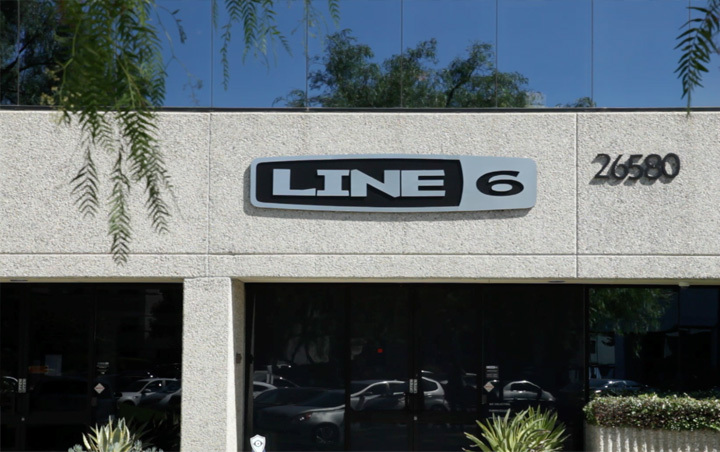 In many ways, Line 6 today is very much like it’s always been: a creative and open environment, complete with regular company jam sessions, occasional lunchtime concerts, and a hip, youthful, ever-so-SoCal vibe. But the business landscape has changed considerably since the company started there more than two decades ago. "Because we use distribution, we are at least one party removed from our end-users," Ritchotte says. "It used to be that you’d build a product, do some focus groups maybe, and then throw it out there and wait to see if it worked. We had dealers and distributors who would just tell us, 'Yes, it’s selling great,' or, 'No, it’s not selling,' and that was about the extent of the feedback. Now we’re getting direct user feedback from our customers and as a result, they are the ones inspiring our products." Nearly instantaneous customer feedback, the openness to listen to it, and the willingness to seek it out is what separates the Line 6 of today, Ritchotte believes—but it wasn’t necessarily part of the plan. Lead sound designer Ben Adrian is one of the handful of Line 6 personalities you can find on various websites and social media platforms. He started talking with users online because no one told him he couldn’t. "I hung out on gear forums anyway," he says. "So I just started talking with people, like—'Yeah, I work for Line 6, but I’m here to chitchat and stuff.' I just wanted to explain how the cool, nerdy stuff works." Adrian half expected to have his actions shut down, but once the team got wind of what he'd been up to, they wholly welcomed it. "People here were actually really happy about it—but there’s never been a ‘plan’ for how we engage. We don’t have a social media strategy and being online isn’t part of anyone’s job description. We just want to connect." But Ritchotte is always quick to pull focus back to the Line 6 vision. In fact, when talking about involving user in product discussions, he says it's important to remember that such an approach is something everyone at Line 6 embraces—something they all live, as he puts it. "We make our products for our customers," he says. "So part of that is making sure we’re putting what they want in the box. And so now, very early on, prior to the release of a product actually, we have IdeaScale up, and we're collecting ideas from customers on the functionality and models they want to see." IdeaScale is a cloud-based innovation management platform that Line 6 employed as a way to crowdsource the development of their newest flagship guitar system, Helix. 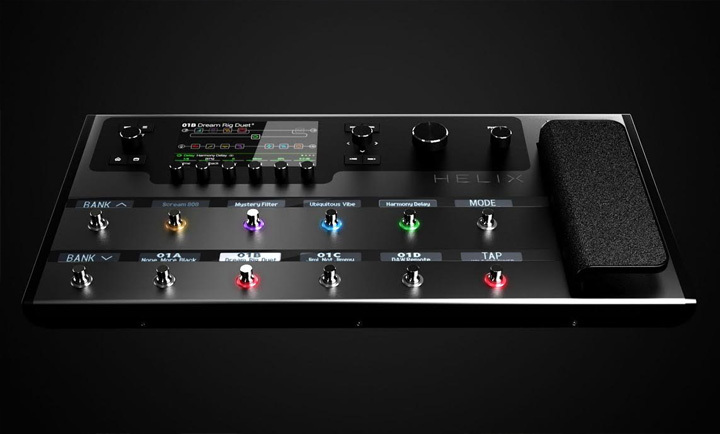 By the time Helix was officially announced in June 2015, nearly 200 user comments and requests had been exhaustively reviewed by Line 6 senior product manager—and Helix mastermind—Eric Klein. "Although some users think of IdeaScale as a voting system, it’s more of a way to validate—or invalidate—our own instincts," Eric says. "To be honest, aside from a few models here and there, there aren’t too many user-submitted ideas that we haven't already discussed internally. But the cool thing is that we’re now at a place where feedback from users, dealers, artists, and internal Line 6 folks is deafening." Klein contends though, that if his team only checked the boxes and fulfilled requests based on IdeaScale submissions, there wouldn’t be any surprises, and they wouldn’t actually be innovating. "Innovation is everything at Line 6," Klein says. "A lot of us wouldn’t be here if we just sat around and waited for people to tell us what they want—there are plenty of companies that already do that and it's insufferably boring." The fun, at least as far as Klein and Line 6 are concerned, is in predicting what it might take to make musicians do more of what they do—to embrace features they might have been scared to try in the past or to create sounds that stretch beyond what they may have played for decades. "Some companies measure success by units sold—our design team measures success by percentage of functionality used," he says. To that end, Helix is a constant work in progress. Once the original design and 1.0 firmware were finalized, and units started to ship out to distributors in mid-September 2015, everyone on Ritchotte's team knew they had some ground to make up. "When we first rolled the Helix out, Line 6 really hadn’t proven itself," he says. "We weren’t considered ‘out there,’ as in, on the front lines talking to customers and engaging and being present. And I think there was a contingent that thought we were going to release the Helix and then go away. And deservedly so. We had to face that we had dropped the ball by not being more actively involved with our customers in the past—and so we decided that, regardless, we were going to make sure that didn't happen again." Since the time that Helix landed in the hands—and under the feet—of musicians around the world, more than ten updates have been released, free of charge, adding an array of new features, functionality, and gear models. And they've all been informed by Helix users. "Ultimately, we’re responsible for the product," Ritchotte says. "But we want to—as much as humanly possible—involve our users so that we know when we release an update, we know it’s going to be accepted and something that a bunch of folks are going to want and use." Today, the backlog of potential models and features is almost at an unwieldy length, according to Klein. The list of 300 or more ideas on an internal bulletin board changes almost every day, with suggestions moving up and down in priority based on crowdsourced feedback solicited from IdeaScale, social media platforms, website commentary, and direct contact with users—which makes sense, especially when you consider why Ritchotte is up at 3 a.m. most days. 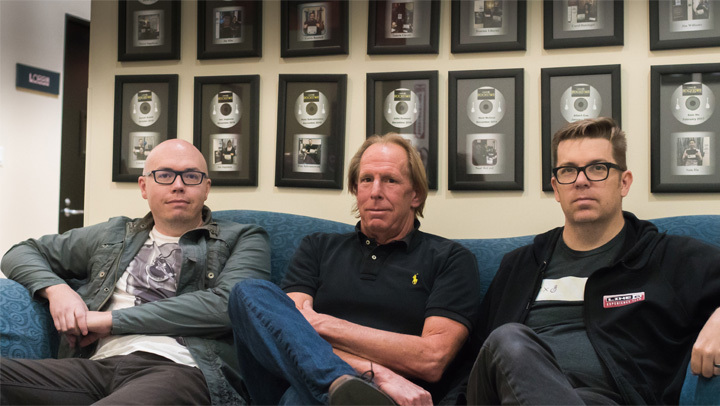 "We are primarily a company that solves problems for musicians—sometimes problems they did not even know they had. Our niche is using technology to help musicians have more fun, be more efficient, and ultimately create more incredible music. It’s why we come to work every day." And it’s why he doesn’t see how any company—let alone Line 6—could compete in today's hypercompetitive gear landscape using the "long cycle" of releasing a product and then waiting to see whether or not it was a success. "Ten years ago, there weren’t Facebook groups of eleven-thousand of your customers in one place—so it’s lazy not to. The technology is there. We’ve got this massive focus group right in front of us and they are telling us what they want, or, more importantly, where we missed the mark. So this is our way of doing business, period, going forward."